St. Johns has a confusing history. It was part of Albina, then Portland, then not. Then part of Portland again, after going it alone a few years as an incorporated city. 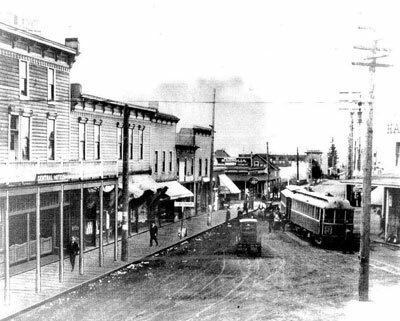 St. Johns was annexed by the City of Albina in February of 1891 and then absorbed into the City of Portland in July. But after enduring a few years of unsatisfactory municipal services and higher taxes, the citizens of St. Johns convinced the Oregon Legislature in 1898 to let their municipality secede from Portland. And then, on February 19, 1903, St. Johns was incorporated as a city. St. Johns’ municipal contentedness didn’t last long, however, and efforts began in 1907 to re-join Portland. After several years of legal wrangling St. Johns officially voted to be re-annexed to Portland and on July 8, 1915 St. Johns, along with Linnton on the other side of the Willamette, joined the City of Portland once again.